For many people the kitchen is the heart of their home. No longer just a functional room to prepare meals and do the washing up in it is increasingly an integral part of the character of the home which is as likely to be used for dining and socialising as it is for more mundane household chores. Many kitchens these days are also an integral part of open plan living areas so making sure the layout is professionally designed is vital to ensure it works both practically and aesthetically. As kitchens become more of a focal point so home owners are getting bolder in their choices. 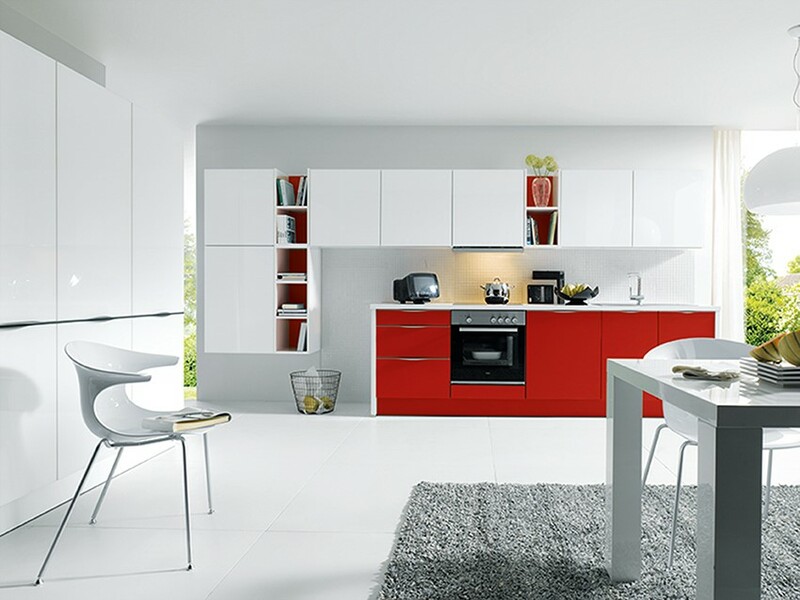 One of the current trends is for two tone or even three tone kitchens. This can be achieved in a number of ways either by mixing bright, bold primary colours with white or choosing subtler shades to complement each other. The current fashion is very much for the brighter, bolder option which looks absolutely stunning. The beauty of such a design is that you can incorporate as much or as little colour as you wish. If you are feeling bold then you can have the majority of units in a strong bright colour. If however, you don’t want the colour to dominate then it is possible to select just a few units or shelves in your chosen colour. It can then be built upon with the addition of matching utensils, toasters and kettles etc. Once you have added a splash of colour you may find it difficult to stop however! 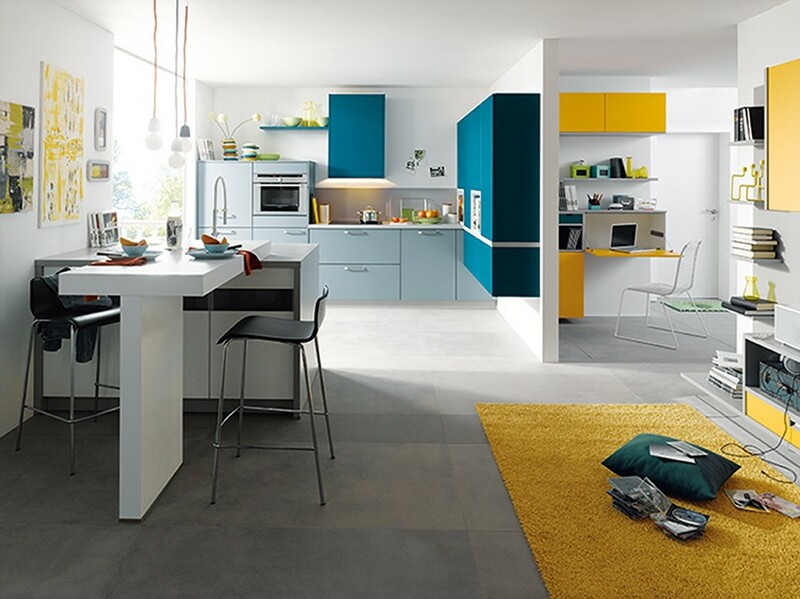 In an open plan kitchen the colour theme can be extended to the living area and this is when a third colour option is increasingly popular (see photo below). Another trend for 2015 is the use of wallpaper in the kitchen area. Again this can be colour matched to your units adding yet another opportunity to introduce more vibrancy into the kitchen. The wonderful thing about brightening up your kitchen is that there is no right or wrong way to do it – it’s purely down to what works for you and how creative you wish to be!